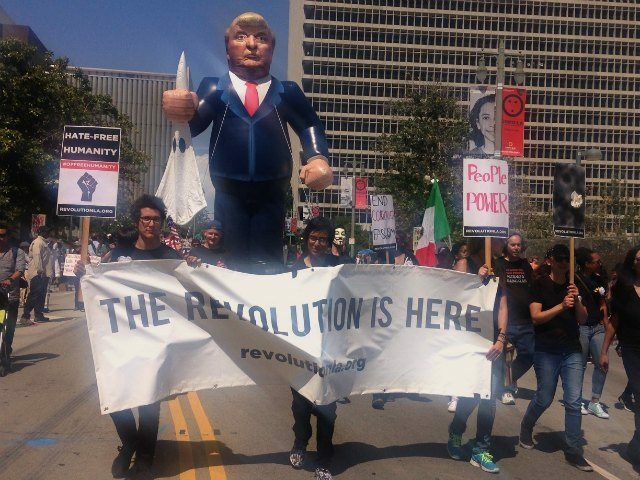 Radical May Day protests, a fixture in Los Angeles and other cities around the world, are expected to target Republican presidential frontrunner Donald Trump ahead of the California primary. The demonstrations outside the Pacific Amphitheatre in Costa Mesa on Thursday night blocked traffic and caused tense moments. Some protesters performed screeching burnouts in their cars or did doughnuts at intersections. Others kicked at and punched approaching vehicles, shouting expletives. 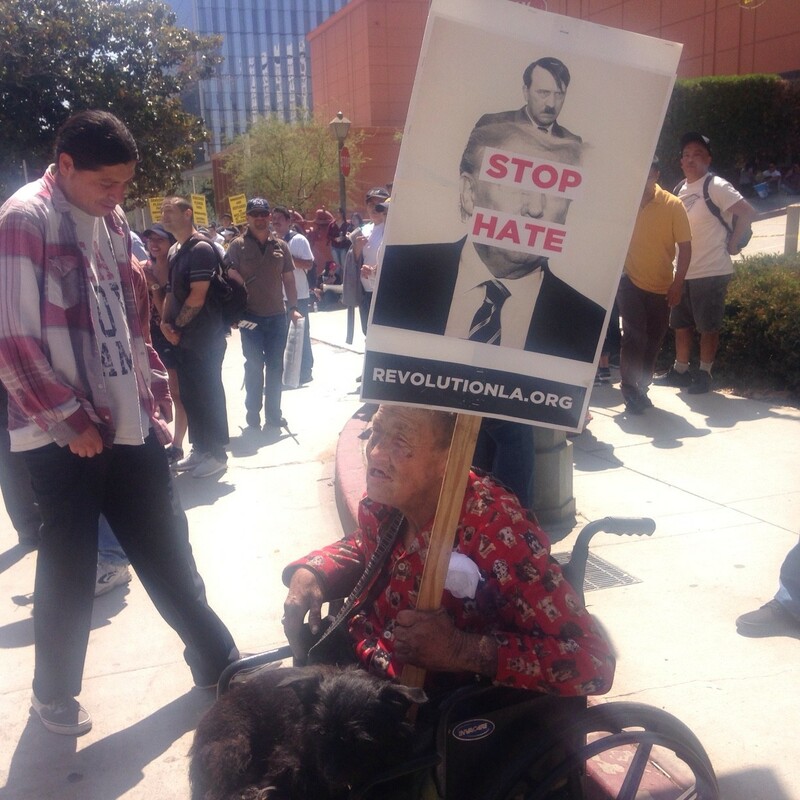 Ranchera and hip-hop music was blasted throughout the streets. At least 17 people were arrested, and both a Trump supporter and a teenage anti-Trump protester were hurt. 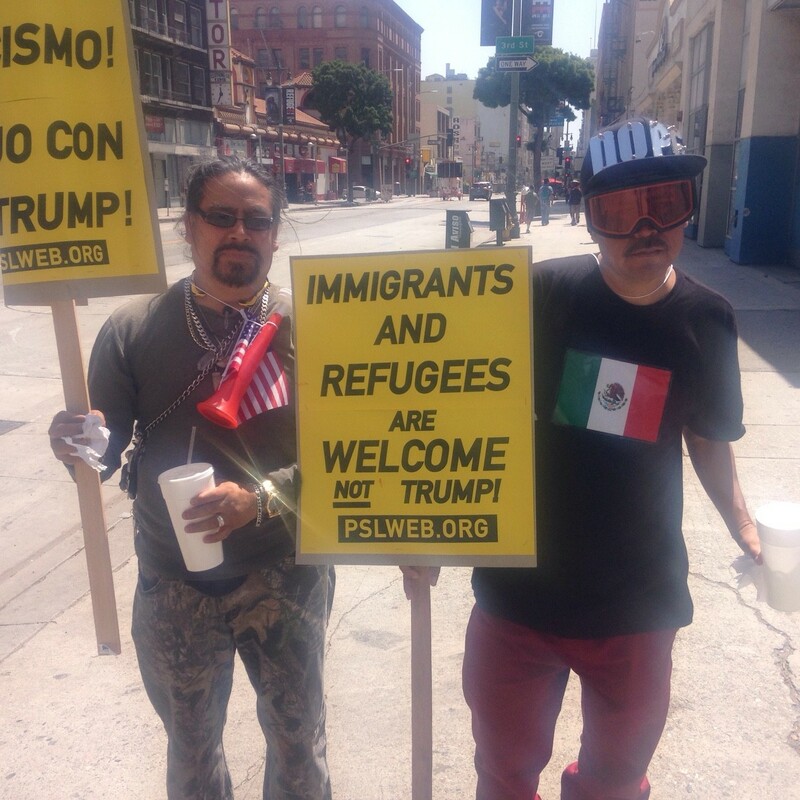 And that is just one part of the patchwork of left-wing organizations that will be showing up in the streets today, in L.A., the Bay Area, and worldwide. 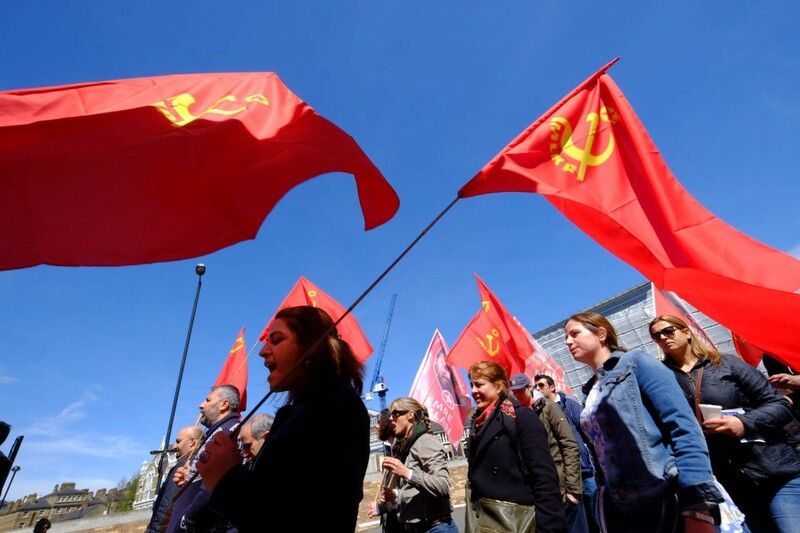 Communist, socialists and anarchists appropriated the traditional spring festival on the first of May, which involves dancing, ribbons and flowers, and have turned it into their yearly focal point for nonstop cries about injustice. 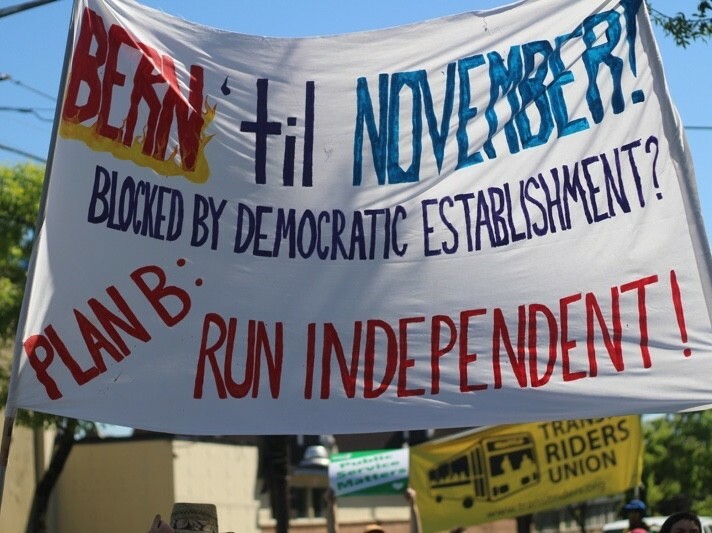 This year, May Day is also the kickoff to the anticipated long, hot summer of 2016 and the road to the national political conventions to be held in Philadelphia (Democrats) and Cleveland (Republicans). 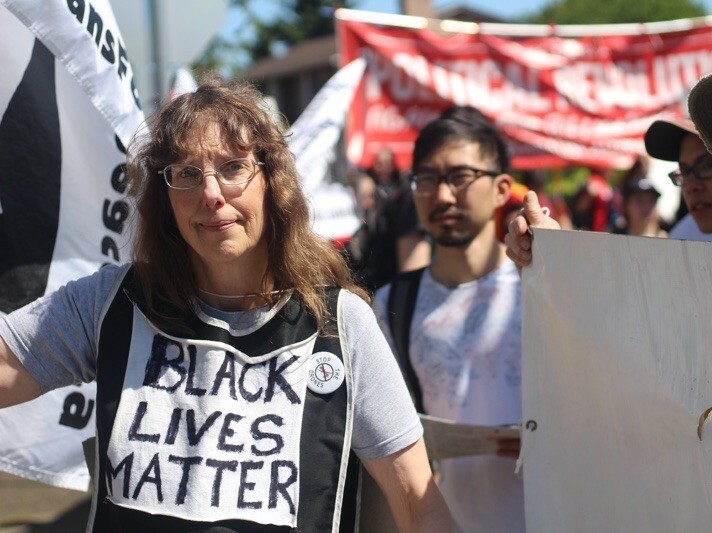 In Democrat-controlled cities across the country from New York City to Oakland, from Baltimore to Seattle, and of course Chicago – always Chicago – the shouting denizens of the American left will be out in droves to bang drums, confront the police, chant about the power of the people – and, as is increasingly the case, engage in whatever property destruction or other violence they are able to get away with. The May Day protests will bring together, in all its glory, the coalition that still wants to fundamentally transform the United States of America. 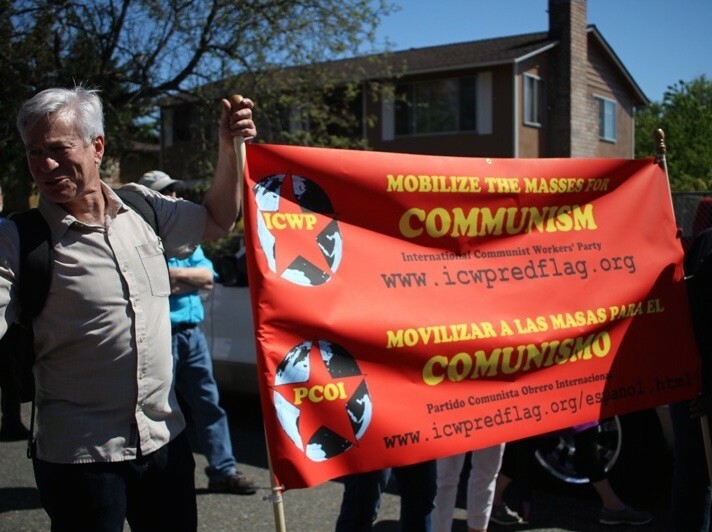 You’ll witness unions bosses, community organizers, Islamist, student radicals, teacher radicals, angry people of no specific gender, hippies, hipsters, punks, preachers and every other entitled, bitter hater with an ax to grind, letting their freak flags fly. Breitbart News is here to keep you informed with you updates from around the country and around the world. All times Eastern Daylight Time (U.S.). 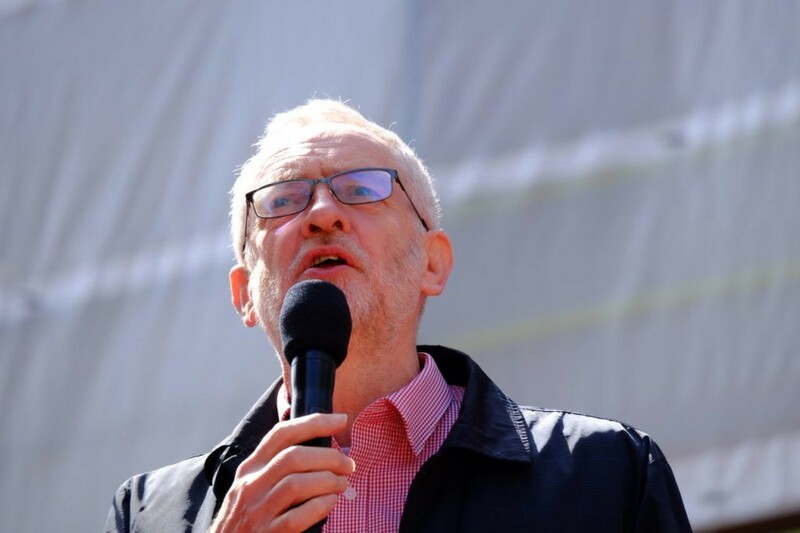 Update (11:20 a.m. EDT) – Sarkis Zeronian: In London, Labour Party leader Jeremy Corbyn MP addressed London’s May Day Rally at the start, the first time in 50 years a Labour Party leader has done so. 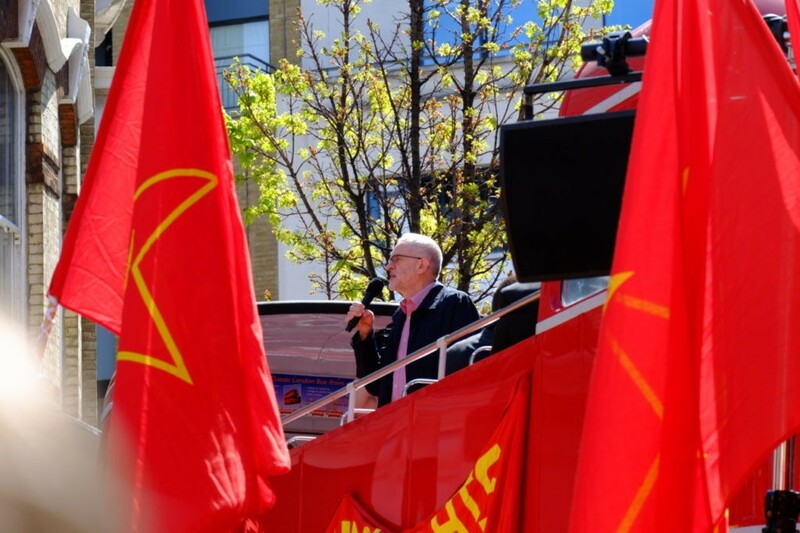 Jeremy Corbyn MP addresses London’s May Day Rally. 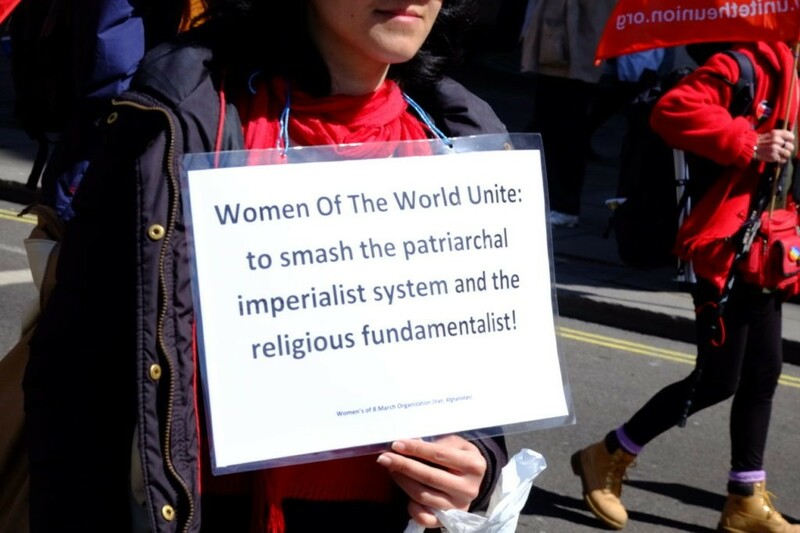 Feminist marcher at London’s May Day Parade. Tens of thousands of people marched across Moscow’s Red Square on a sunny Sunday morning in a pro-Kremlin workers’ rally. 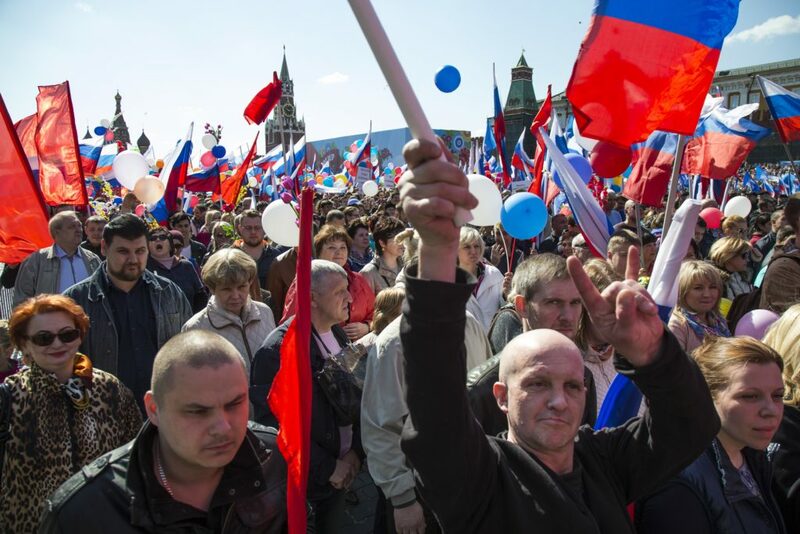 The protesters were carrying the Russian tricolor and balloons. Turkish police on Sunday used tear gas and water cannons to disperse dozens of May Day demonstrators in Istanbul. Security forced detained several people to prevent them from gathering in Istanbul’s iconic Taksim Square. Small scuffles broke out. Taksim has symbolic meaning as the center of protests in which 34 people were killed in 1977. In Taipei, Taiwan’s capital, labor unions took to the streets with a march to call on the government to reduce working hours and increase wages. 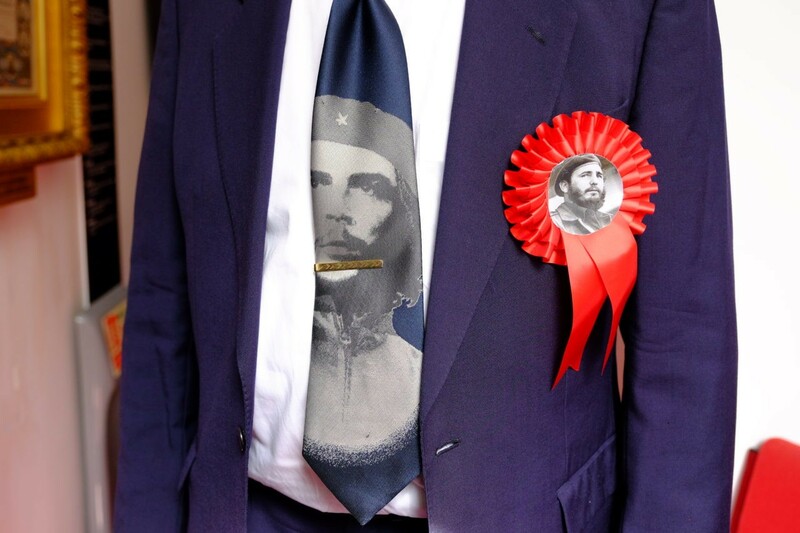 Communist chic at London’s May Day Parade modeled by someone from the city’s Marx Memorial Library & Workers’ School. 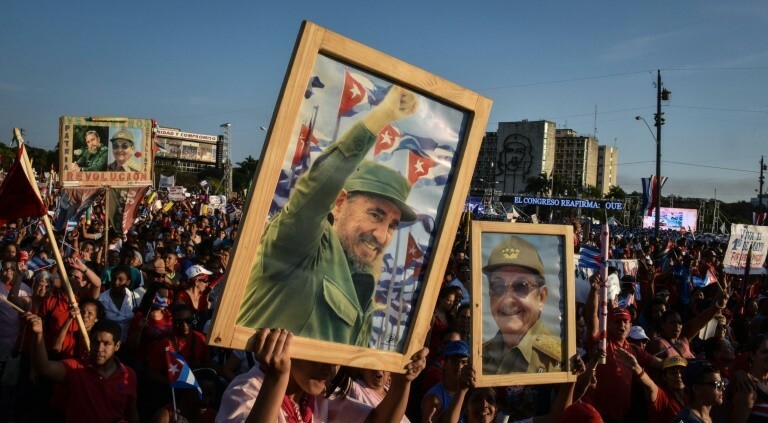 Update (12:40 p.m. EDT) – AFP: Post-rapprochement with the U.S., May Day in Cuba proceeds as usual. The Revolution never ends. 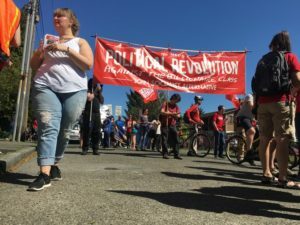 Update (3:51 p.m. EDT) – Lee Stranahan: Preparations under way in Seattle, with anarchists aplenty. 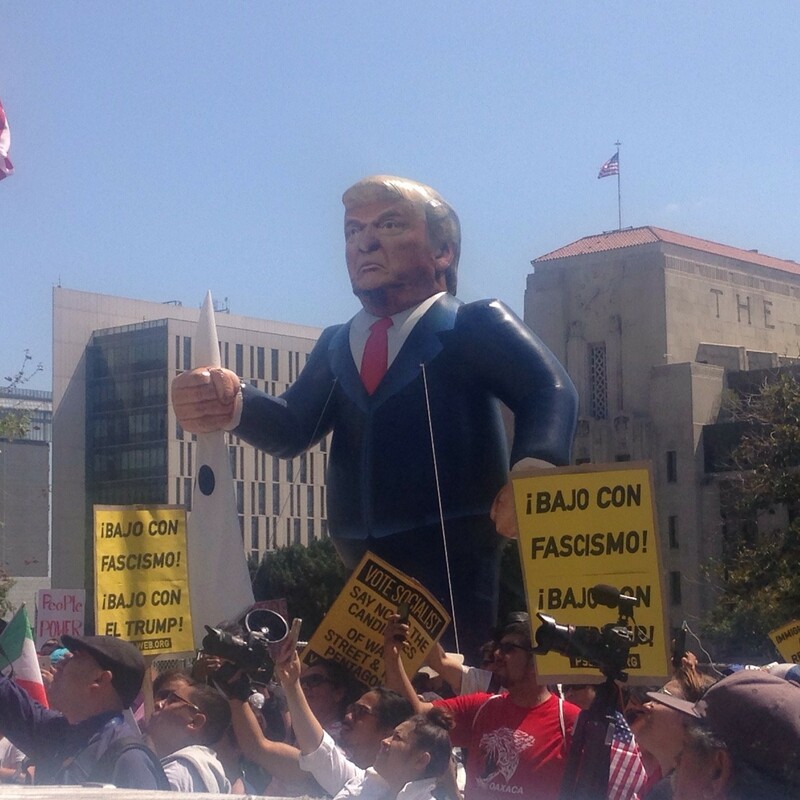 Update (5:35 p.m. EDT) – Adelle Nazarian: In downtown LA, a protester over loudspeaker shouts “Donald Fascist Trump” and “Donald Hitler Trump” over a loudspeaker. 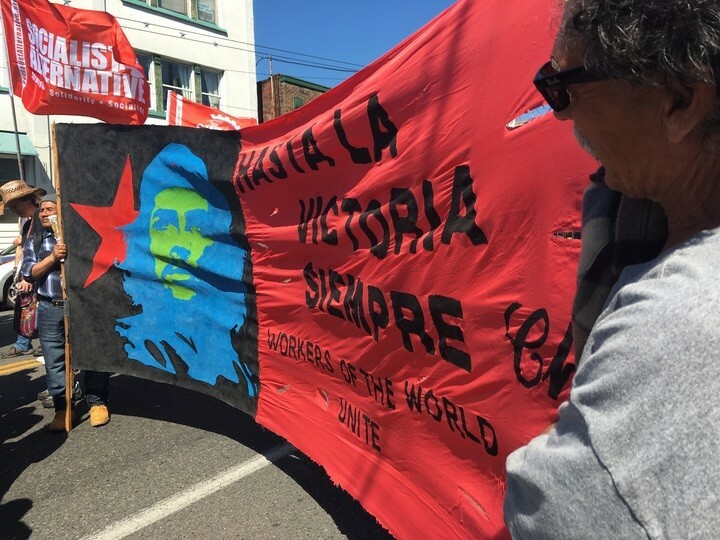 “The great revolution is upon the world… there have been revolutions in the past… But the one before us will be the great and final revolution to bring about the paradigm shift that will change the shape of our history.” Calls for crippling taxes on the rich. 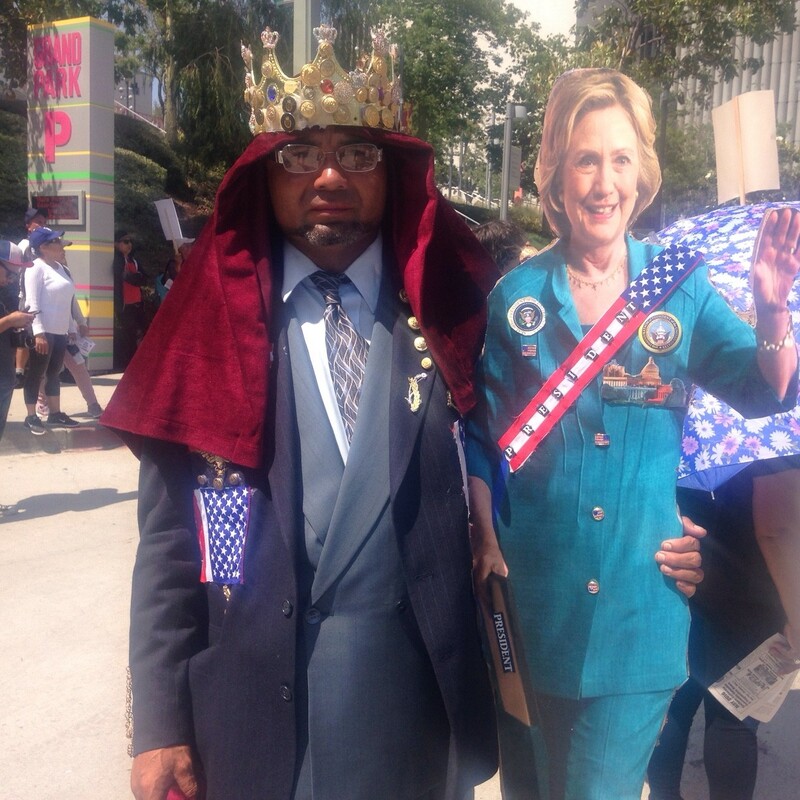 In this photo, a man named Juan Carlos — who does not speak English — says ‘Clinton is my friend.’ Ironically, he is dressed like an Arab sheikh. Update (5:41 p.m. EDT) – Adelle Nazarian: A young boy just took the stage and addressed the crowd in Spanish. 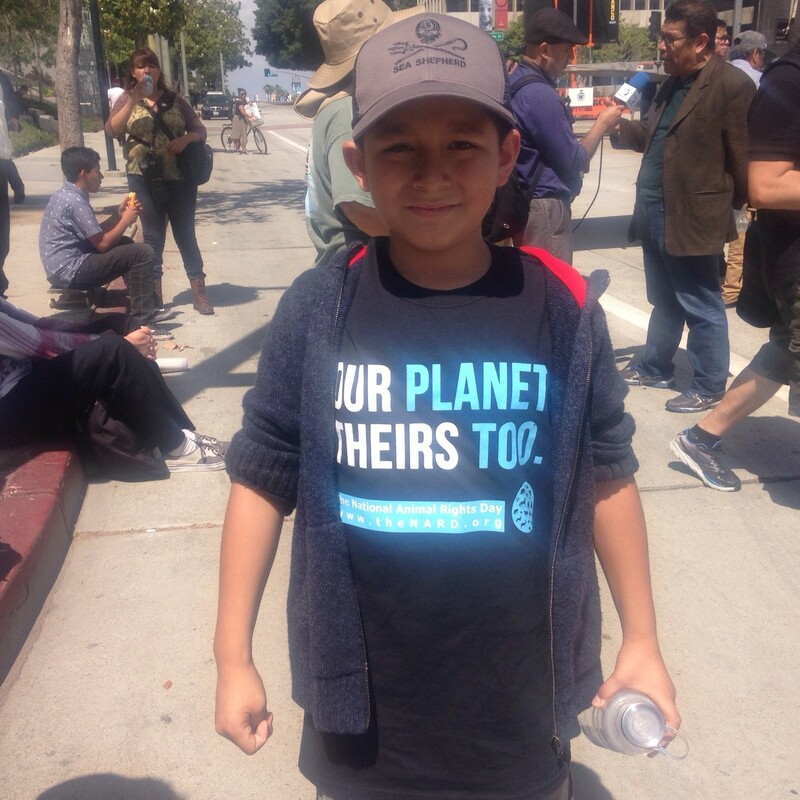 A family member identified him as Joseph Moreno, 12, of Bell, California. 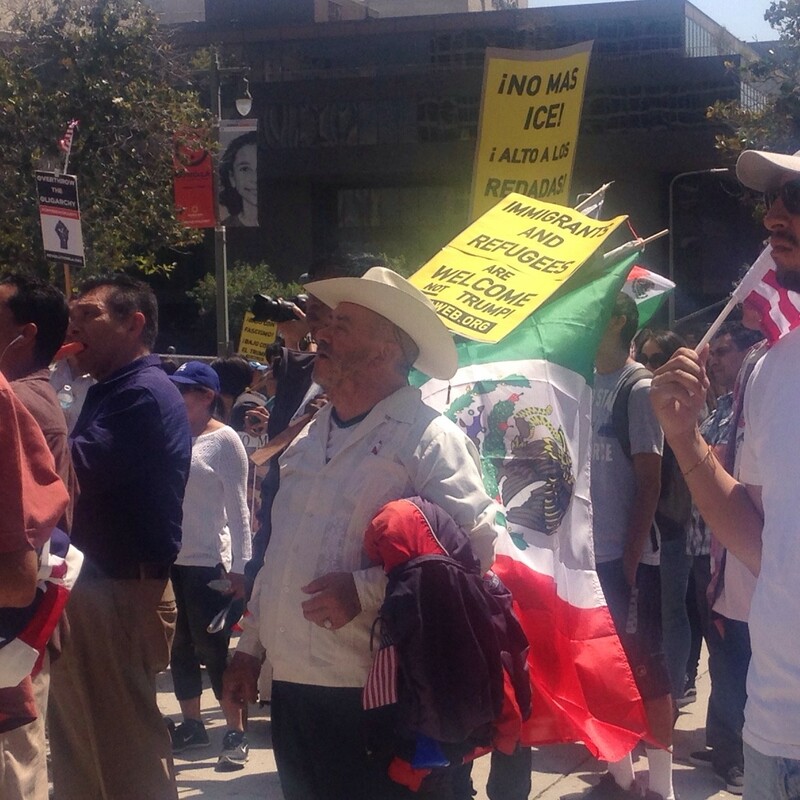 Then, a grown Hispanic man took the mic and said, “you may have just heard the next president of the United States” and called for amnesty for illegal immigrants. 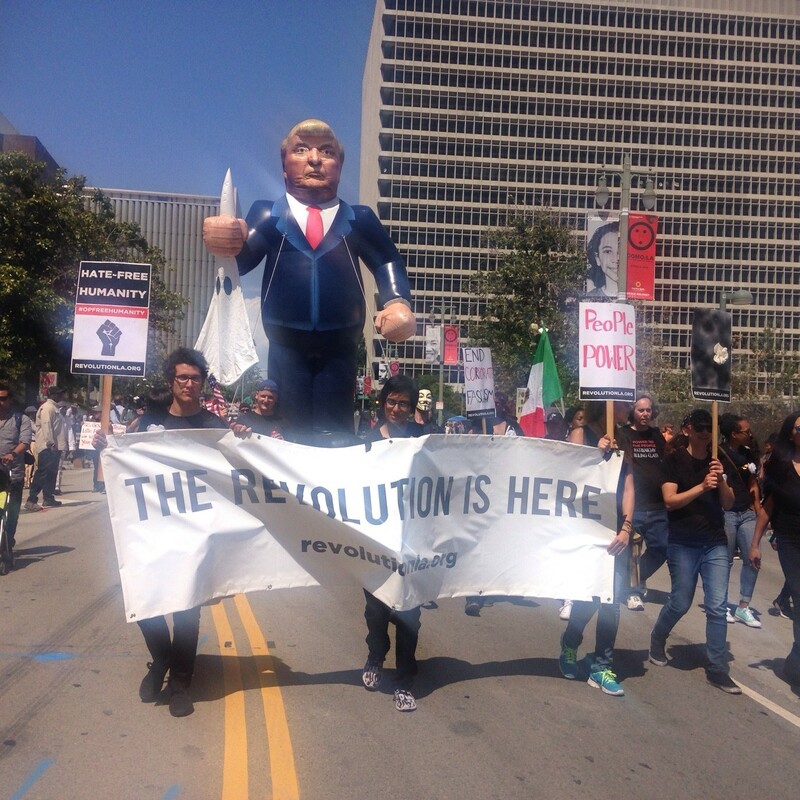 Update (5:55 p.m. EDT) – Adelle Nazarian: A giant balloon depicting Donald Trump holding a KKK hood trails protesters. 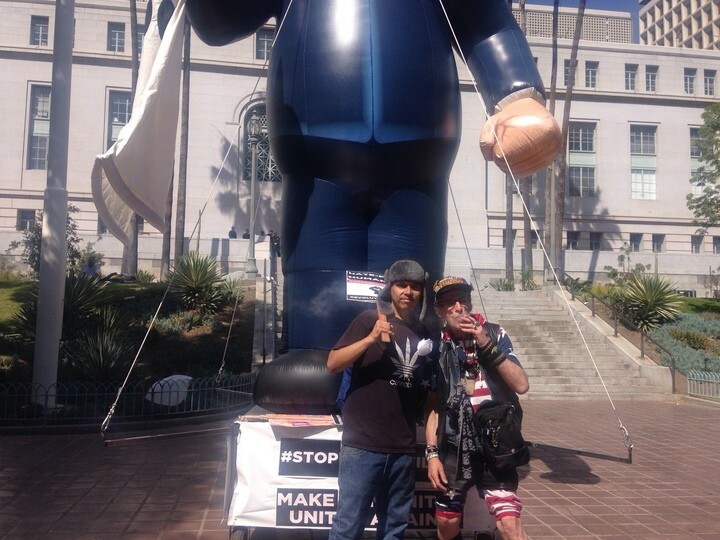 Richard Eastman, 63, medical marijuana enthusiast and member of the Occupy movement, set up camp in City Hall Park. 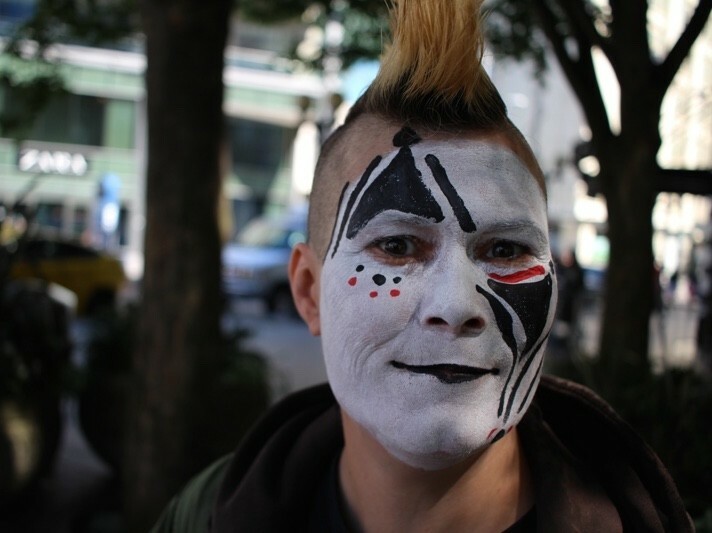 “Civil disobedience is a First Amendment right,” he told Breitbart News as he smoked a joint. “I’ve smoked weed in the room with two presidents — one who inhaled and one who did not,” he told Breitbart News. “That means I have presidential clearance.” Asked who inhaled, he said Obama, adding that Clinton ingested a brownie. The smell of marijuana was strong in the atmosphere. Police officers were observing the scene from the stairs of City Hall, monitoring for any violence or unrest. 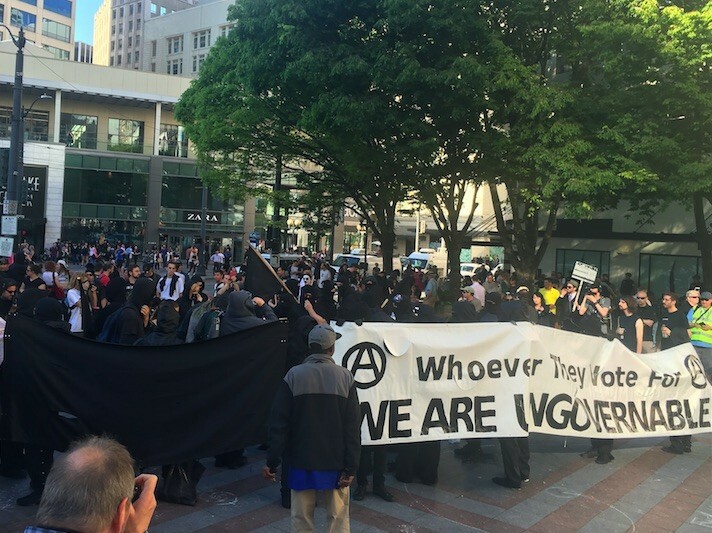 Update (7:30 p.m. EDT) – Lee Stranahan: More updates from Seattle. Update (9:10 p.m. EDT) – Lee Stranahan: A taxonomy of the left at the Seattle May Day parade (in order): communists, anarchists, Black Lives Matter protesters, and Bernie Sanders supporters. 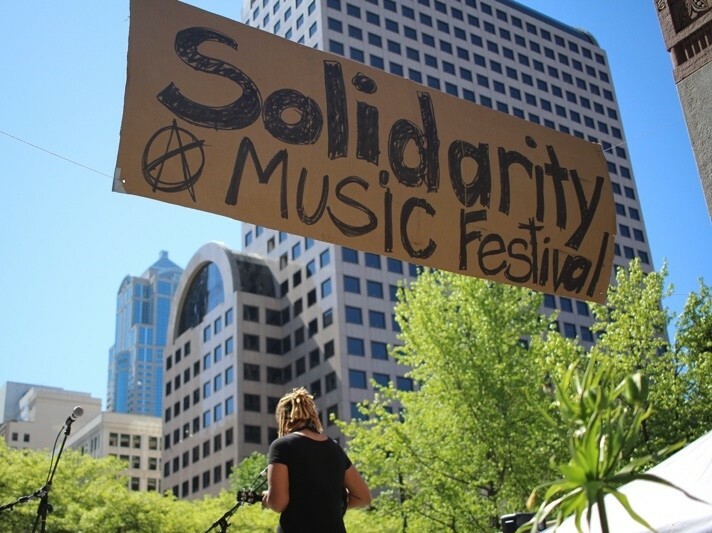 Update (9:51 p.m. EDT) – Lee Stranahan: Masked members of Seattle’s infamous Black Bloc, who turned the anti-globalization protests of 1999 into a violent affair, kicking off a wave of global unrest at meetings of multinational institutions, have arrived and are clashing with police. 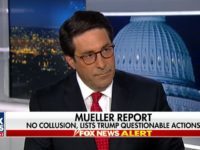 Update (10:13 p.m. EDT) – Joel Pollak: Lee Stranahan has been tear-gassed while covering the May Day protest-turned-riot.